All FHP events in the diary are printed in bold. The Friends’ Nature Walks (NW, formerly BNW) are continuing to be led by varying regulars while we look for a new permanent leader with the requisite skills and commitment. We will have a one-and-a-half-hour stroll through the park looking at birds, plants, butterflies and park management of current interest. There is no charge, and all are welcome without booking. Meet outside the Stable Yard at 9am on the first Saturday of each month. No dogs, please, as even well behaved ones on leads disturb the wildlife. We recommend you bring binoculars if you can. Events organised by the Ecology Service of RBKC are listed as ‘ES’, some of which are sponsored by FHP where indicated. Unless otherwise stated the meeting place is in the Ecology Centre near the Adventure Playground. Some must be booked, in which case please call 020 7938 8186 or e-mail ecology.centre@rbkc.gov.uk. There is a charge for those marked £. Holland Park Conservation Volunteer days (for adults) are every third Saturday of the month from 10.30am to 3pm; meet outside the Stable Yard. 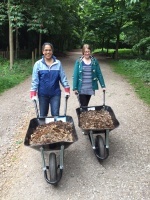 No specialist skills are required, and this is your chance to make new friends while getting healthy outdoor exercise: digging, chopping and planting in the wilder parts of the park. Refreshments, gloves, tools and instructions provided. Wear sturdy shoes and old clothes, and bring waterproofs and your lunch. For further information from the Ecology Team visit www.rbkc.gov.uk/ecology, call 020 7938 8186 or e-mail ecology.centre@rbkc.gov.uk. The day after Opera Holland Park (OHP) had cleared the Holland House site (19 days early this year), the Council’s contractor, Blakedown Landscapes, started work on improving the area around the Grade-1-listed building. Some of you have asked why it will take until 10 March 2018 to complete what looks to be a simple task of resurfacing the café yard, moving the road and resurfacing the Holland House terrace. It is anything but simple, and many of the complicated bits are likely to be those you will never see: under the ground. The first task was to carry out tests to establish the bearing capacity of the ground under the terrace. Planning consent requires a large underground tank to accommodate water run-off from the Opera’s auditorium canopy: it is important to improve drainage of the permanently re-landscaped terrace. Remember all the unsightly puddles that used to accumulate on the paths between the Astroturf? A large tank needs a large hole, and you will notice approximately 60 truckloads of soil being removed over the next few weeks. Each year, OHP has rigged up its own electricity supply, but this will now be laid permanently under the terrace. There are many mature trees on the site whose roots must be protected during digging and hard landscaping. Blakedown are advised by a tree specialist, engaged by the Council, whom I witnessed paying great attention to the space immediately around each tree on a recent site visit. Our RBKC arboriculturalists are also keeping an eye on our valued greenery. Unfortunately, the two Yellow Buckeye from the café yard are casualties of the new layout, but we are being compensated by a splendid and rather special Acer freemanii, ‘Autumn Blaze’, chosen in discussion with the Friends. This tree is in for special treatment with the most inventive chambered tree pit I have ever seen. The new café yard layout will provide increased seating space, and extend further west than before. The café will remain open throughout the works, with seating inside and on the north terrace. Public access to the outside seating area to the south will be closed until 10 March 2018, and the Holland House Terrace will be closed to the public until the end of the opera season in September 2018. The much improved café area and terrace will be worth waiting for. Notices on the site fencing show photomontages of the completed scheme, and give contact details for any queries. There was a time when rough sleepers and teenage drinkers were jumping over the fence into the Wildlife Enclosure and causing problems. The Parks Police worked hard to discourage this behaviour and the Friends collaborated with both the police and Park Management to find solutions in the form of prickly hedging, dead hedges and the robust oak gates we commissioned and paid for. It is gratifying that the police report these measures have been successful in reducing unauthorised entry. id verde are now running the Saturday volunteer programme for the Borough’s Ecology team who report strong interest at around 8-12 volunteers each session. Tasks focus on practical conservation that is needed at the time, with workdays every third Saturday of the month. For more information, please see Dates for your Diary at the end of this newsletter. Some years ago, Will Bowers, Junior Research Fellow in English at the University of Oxford, contacted me about his planned research on the Holland House set. 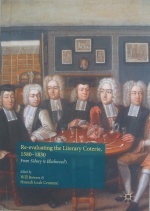 This year he sent me a copy of his book, ‘Re-evaluating the Literary Coterie, 1580-1830’, by Will Bowers and Hannah Leah Crummé, ISBN 978-1-137-54552-7. He has written a chapter on ‘The Many Rooms of Holland House’: well worth the read. Will came to the talk by Prof. Malcolm Airs and told me the astonishing fact that most of the papers on Holland House visitors are in the British Library and, of all their collections, it is the third largest. Will’s next plan is to analyse all the visitors-book entries and produce a summary of precisely who visited and how often. The Holland Park bees have produced honey this year and it will soon be available to buy from Park Reception in the Stable Yard. Due to the repair work on the Stable Yard roof, the number of hives has been reduced this winter, but we hope that Park Management, working in partnership with the London Beekeepers Association, will soon have more information on the bees and related events for 2018. Sadly, the restaurant and deli, Valentina Fine Foods in Notting Hill Gate, has closed. They were friendly and supportive to the Friends and we shall miss them. We are trying to find one or two more businesses to participate in our scheme. Alan Harrington, known to many of you for his tree walks, spent his professional life studying mosses. He continues to observe them wherever he goes, and has agreed to come to Holland Park 11am-1pm on Saturday, 10 March 2018, to see what is new since the last walk for us on a similar date in 2017 when he made some interesting finds. Numbers are strictly limited, so please book your place on 020 7602 0304 or on rhoddy.wood@virgin.net. You will need a hand lens of at least 10 x magnification to appreciate fully the beauty and intricacies of these natural wonders. 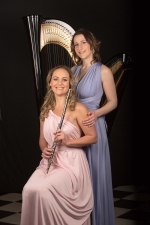 Our annual recital in the Orangery, surrounded by the Art Exhibition, will be performed by Heavenly Duets: flautist Anne Allen and harpist Cecily Beer. The concert will begin with the second movement of Mozart’s Flute and Harp Concerto followed by other achingly beautiful classics such as Saint-Saëns’ The Swan and Massenet’s Meditation from his opera Thaïs. We will be treated to arrangements of British folk songs, pieces by Gershwin and Mancini, and J. Ibert’s vivacious Entr’acte, which was in fact originally scored for flute and harp. The centrepiece of the concert will be the World Première of Suite in the Old Style by M. Abrams who will be with us to introduce his composition. Anne Allen has performed solo concerti in venues such as The Queen Elizabeth Hall, St Martin-in-the-Fields and Cadogan Hall. She has played in Europe, the Far East, Africa, Russia and America. As well as making recordings, she has won competitions, performed on radio and TV, and for Her Majesty the Queen as well as the Beckhams. Cecily Beer has performed in Europe, Australasia, French Polynesia and the USA, and for BBC Radio 3 and Classic FM. She is currently Resident Harpist at The Waldorf Hilton Hotel in Covent Garden as well as being in high demand for private and corporate events, performing for Rolling Stones member Ronnie Wood, the former Archbishop of Canterbury, Rowan Williams and, recently, Her Majesty the Queen and the Duke of Edinburgh. Tickets are £18, to include wine and nibbles. By the time we hear this talk by Xanthe Quayle, much of the work on the Holland House and Café Yard landscaping improvements will have been completed, but the site will still be closed, and you will not have seen what it will eventually look like. You certainly will not know the complexities faced when working on a historic site with all sorts of surprises under the earth, nor the technical demands of providing for a canopied open-air theatre for the opera with over a thousand seats. Come along and find out what is involved in our major landscaping project. Xanthe Quayle is owner and Director of Camlin Lonsdale, the landscape architects who designed the scheme and who are overseeing the implementation. She was brought up in this area and has known the park since childhood: a fitting context for appreciating our historic assets. Tickets are £18, to include wine and Janice Miles’ delicious canapés. To order tickets online, please click here. The Friends’ subscription year runs from 1 January. Some of you have already paid for 2018, and a healthy number (about 64%) pay by bank standing order on 1 January. New members who have joined since 1 September are already covered for 2018. To the rest of you, now is the time to pay, using the new online facility, which can be found here. If in doubt, check with Rhoddy on 020 7602 0304 or rhoddy.wood@virgin.net. We would like to emphasise that it is less trouble to both you and us if you pay by standing order; if you do not yet do so, we are always ready to send you a form. You will know that your membership card, which entitles you to discounts under our Friends & Neighbours scheme, expires at the end of February. Those who have paid their subscriptions for 2018 will receive replacement cards with their spring newsletters, which will reach them in late February. Please be careful opening your newsletter, as the cards can easily fall out and be lost. Your membership gives the Friends clout when negotiating with the Borough on the Park’s future. Thank you again for all your support. Any day now you will be able to make payments for merchandise (including Christmas cards), event tickets and membership here on the website. Once the service is up and running, we will add a statement to that effect on the website. It should be straightforward but, if you have problems, please contact Rhoddy Wood on 020 7602 0304 or Rhoddy.wood@virgin.net. Payment by cheque using an order form will still be possible. • The Friends’ Nature Walk on Saturdays 7 Oct., 4 Nov. and 2 Dec. will meet by the entrance to the Stable Yard. • Holland Park Café will remain open throughout but, at some point, the entrance might be from the north. Look for the signs. The café seating area outside to the south will be closed until March 2018. • The Stable Yard, Police and Parks Offices will remain open throughout. • The south terrace of Holland House will be closed until October 2018. We understand that the surveyor’s technical assessment of the state of Grade-1-listed Holland House has not yet been completed and that this cannot be done until the opera canopy has been removed to allow free access. After the surveyor’s report comes the proposal of works to be done, then RBKC approval. This will take time, so any work proposed is unlikely to start before the end of the 2018 opera season. This puts it well behind the schedule stated in the Conservation Management Plan for Holland House. From sight alone and, given that loose finial stones had to be removed this summer, it is likely that much work is urgently needed. By 2018, it will be ten years since repairs were last carried out on the building, as a result of the property being put on Historic England’s (then English Heritage) ‘At Risk Register’. We want to see this historic building, at the heart of Holland Park, preserved for the enjoyment of future generations. Exterior refurbishment of the Belvedere Restaurant has started and the restaurant will be closed during October and November 2017. This work entails removing non-compliant additions to the building (listed under the curtilage of Grade-1-listed Holland House) and rationalising the maze of service plant on the roof. The tower will be renovated to halt deterioration. The restaurant hopes to re-open in December for its busy Christmas season. The Belvedere is one of our Friends & Neighbours partners, and offers a 10% discount on presentation of a Friends’ membership card, so make sure you book a table and enjoy the very tempting menu when it re-opens. 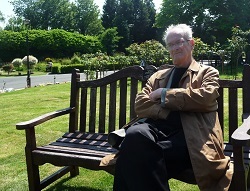 Sadly our Poetry Seat, carved by Martin Pigg, has succumbed to the elements. It looked at home in its setting just east of the Lord Holland Pond, but we always suspected that the wood would not last for ever. Many of you might have experienced the rapacious box tree caterpillar (Diaphania perspectalis) in your own garden, so you know what a stubborn beastie it is and that it can completely defoliate a box plant in days. It is the larva of a moth and has been named ‘Top Pest’ by the Royal Horticultural Society. As it spreads fast across the south east of the country it has now reached the Dutch Garden in Holland Park where, you will be aware, all the formal beds are edged with clipped box. Treatment is specific and difficult because the insect passes through several stages from May to October. Most widely available sprays are ineffective but idverde have the product with the necessary ingredient. You might, on occasion, find the Dutch Garden closed while this work is carried out. We suggest that you do not touch the box hedges or let children touch them. We hope this treatment works but, if the caterpillar wins, we will have to replace the box with an alternative. Repairs are due to the leaky roof of the Stable Yard buildings that house the parks police office, park reception, sports booking office, sports changing rooms and public WCs. We await information on approval and start date. We also await news on upgrading of the public WCs, which are in a poor state. The schedule of works we included in our summer newsletter showed that much needed work on the playground would happen in 2018. We await confirmation of approval and start date. Yes, it’s true: Christmas will be upon us again soon, and we need to book for our favourite event of the year. Our loyal Tallis Chamber Choir, conducted by Philip Simms, will be delighting us with a variety of Christmas carols and readings, after which we can enjoy a glass of wine and mouth-watering canapés. Tickets, at £22, can be ordered on the order form here. In our last newsletter we announced that Silvi Spassov had taken on the role of Accounts Co-ordinator. This has worked so well that we asked Silvi if he would become a trustee and our Treasurer. We are delighted that he has agreed. The Treasurer’s role involves oversight of the financial health of the charity, and keeping the trustees informed about the state of our finances. He will continue to handle all the day-to-day accounts and payments. Simon Lindesay-Bethune continues as Assistant Treasurer. We have already enjoyed the benefit of Silvi’s considerable experience as a qualified accountant, having worked for many years as a PricewaterhouseCoopers consultant with client-facing roles. He has introduced new ways of doing things that make managing the data quicker and simpler, and that is a huge advantage. Silvi lives locally, loves the park and has shown himself to be ready to help out with many of the tasks faced by the trustees. You will most likely meet him when you come to one of our events. We are looking forward to working with Silvi as one of the trustees. The Fukushima Garden, just to the east of the Kyoto Garden, was established in Holland Park in 2012 by the Japanese to show their gratitude to the people of the UK for supporting Fukushima after the Great Eastern Japan Earthquake of 2011. 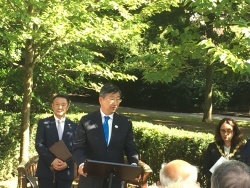 On 20 July, the fifth anniversary of its establishment, a ceremony took place hosted by Fukushima-Minpo Co. Ltd and the Fukushima Prefectural Association in UK whose chairman, Mr Yoshio Mitsuyama, was involved in the creation of the garden. It was called the Sister Garden Memorandum of Friendship Signing Ceremony. The signing took place in the RBKC Town Hall, in the presence, among others, of Japanese Ambassador, Mr Koji Tsuruoka; a delegation from Motomiya City in Fukushima Prefecture which included school children and ordinary citizens of the city led by its mayor, Mr Gigyo Takamatsu; the RBKC mayor, Cllr Marie-Therese Rossi; and RBKC Police Cadets. After the signing, all moved to the Fukushima Garden where pupils of the junior high school in Motomiya and the ambassador gave speeches in Japanese and English (in which sympathy for the Grenfell Tower fire was also expressed), followed by Mayor Rossi inviting the guests to help plant a tree, a Euonymus sieboldianus or Himalayan Spindle (‘Mayumi’ in Japanese), which produces conspicuous red berries and whose leaves colour well in the autumn. Gifts were exchanged between the school children and Police Cadets. The planting was followed by a reception at the Town Hall. Friends of Holland Park who attended reported that the ceremony was a very positive experience, especially with the school children present; that there were about 100 people, largely Japanese; and that badges from Fukushima were handed out. As a symbol of mutual support for the people of Motomiya and Kensington, the Fukushima Garden will be twinned with the English Garden in Motomiya, due to open in November. Photo of Mr Koji Tsuruoka speaking at the ceremony by Silvi Spassov. At the time of writing (early September) the one tree in the park that bears authentically bitter green crab apples was pleasingly laden, though none were yet lying within reach on the ground. Let us hope they can presently be harvested and combined with other fruit from the countryside to be metamorphosed into tangy red jelly. 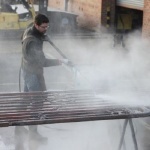 When you read this, do ring Rhoddy Wood on 020 7602 0304 to place your orders, as supplies are soon exhausted. We have a new artist for our Christmas card this year. 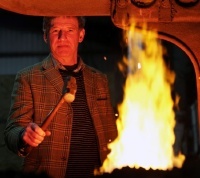 He is Peter Watkins who is skilled in architectural work and can make his bricks glow with warmth. His representation of our Stable Yard catches the romance of its style and reminds us how lucky we are with even our utilitarian buildings. We will hold a ready supply of these cards in both the standard 152mm x 197mm format at £9.50 the pack of ten, and the small 118mm x 168mm at £7. We will also make up mixed packs of old designs of Holland Park at £6.50, which will very largely be of big ones in 4 or 5 different designs. These can all be delivered very quickly: the mixed packs from the date of your reading this, and the new ones from early November. It would be a great help if you could order early, even the new design, so that the publisher knows what initial printing he needs. If your newsletter is hand delivered (no stamp), our delivery is free, but beyond that we have to charge an additional £1.60 per 10 cards. 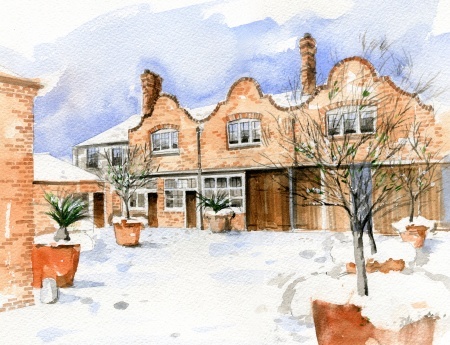 There are a number of other designs illustrated on the website www.mbcards.co.uk. Indeed there is a choice of 17 cards by at least three different artists, portraying different aspects of Holland Park – surely enough for everyone to find something they like. We appreciate it if you also order these through us, as we get an extra discount, though Mountbatten can give you free delivery anywhere in the UK. Overprinted cards must be ordered from Mountbatten. We do get a small donation if you fill in the appropriate line asking which charity you would like to support. All cards will have the standard greeting ‘With best wishes for Christmas and the New Year’ unless you ask for them to be blank. Do avoid that last minute panic by ordering now on the order form which may be downloaded here. There is still time to book for our autumn talk on Jacobean country houses given by Malcolm Airs, Emeritus Professor of Conservation and the Historic Environment at Oxford University. He will tell us about the changes in architecture and appearance of country houses in the early seventeenth century, placing Holland House in the wider context of a distinctive group of houses in the London suburbs, such as Charlton House, Ham House and the Dutch House at Kew. He will examine the roles played by patrons, developers and designers, and will explain why Holland House is so important. Tickets are £18, to include wine and Janice Miles’ delicious canapés. To order tickets, please download the order form here. All FHP events in the diary are printed in bold. The Friends’ Nature Walks (NW, formerly BNW) are continuing to be led by varying regulars while we look for a new permanent leader with the requisite skills and commitment. We will have a one-and-a-half-hour stroll through the park looking at birds, plants, butterflies and park management of current interest. There is no charge and all are welcome without booking. Meet outside the Stable Yard at 9am on the first Saturday of each month. No dogs, please, as even well behaved ones on leads disturb the wildlife. We recommend you bring binoculars if you can. Events organised by the Ecology Service of RBK&C are listed as ‘ES’, some of which are sponsored by FHP where indicated. Unless otherwise stated the meeting place is in the Ecology Centre near the Adventure Playground. Some must be booked, in which case please call 020 7938 8186 or e-mail ecology.centre@rbkc.gov.uk. There is a charge for those marked £. All FHP events in the diary are printed in bold. The Friends’ Nature Walks (NW, formerly BNW) are continuing to be led by varying regulars while we look for a new permanent leader with the requisite skills and commitment. We will have a one-and-a-half-hour stroll through the park looking at birds, plants, butterflies and park management of current interest. There is no charge and all are welcome without booking. Meet outside the café at 9am on the first Saturday of each month. No dogs, please, as even well behaved ones on leads disturb the wildlife. We recommend you bring binoculars if you can. Holland Park Conservation Volunteer days (for adults) are every third Saturday of the month from 10.30am to 3pm; meet at the Holland Park café. No specialist skills are required, and this is your chance to make new friends while getting healthy outdoor exercise: digging, chopping and planting in the wilder parts of the park. Refreshments, gloves, tools and instructions provided. Wear sturdy shoes and old clothes, and bring waterproofs and your lunch. For further information from the Ecology Team visit www.rbkc.gov.uk/ecology, call 020 7938 8186 or e-mail ecology.centre@rbkc.gov.uk. Following Planning and Listed Building consent for Camlin Lonsdale’s plan to improve landscaping around Holland House, Blakedown Landscapes (SE) Ltd have been appointed to carry out the work. This major project will make the café yard and Holland House terrace much pleasanter spaces in which to spend time, and the re-siting of the access road to the terrace will be safer and less disruptive to café users. Much needed conservation work is proposed for the masonry of the walls and steps related to the terrace. Work will commence in late September 2017 and be completed before the opera build starts in March 2018. At last a Condition Report on Grade-1-listed Holland House and the exterior of the East Wing has been commissioned, as required by the Conservation Management Plan for Holland House. While we await the results of the report, we hear that recent high wind has uncovered defects in the stonework, and some stones have had to be removed from the building for safety. This is as we had feared and highlights just why the Council must not allow actions determined in the Conservation Management Plan to fall behind schedule. 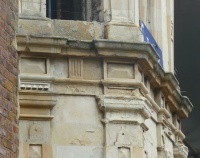 Careful repairs were last carried out on the building in 2007-8 as a result of the property being put on Historic England’s (then English Heritage) ‘At Risk Register’. We want to see the great old structure safe and preserved so that it can be enjoyed by future generations, and do not wish to see it ‘at risk’ again. You will have noticed that the path from the car park to the D Garden has been closed for some weeks in order to carry out work to channel rainwater into small overflow basins in the woodland. This is to make use of the water for the park, rather than lose surface water to the sewerage system. The path is unlikely to be open until early July. The old recycling bins were being misused and causing a mess of dumped rubbish which was not a great welcome to the park. Smart new units are now in place, with clear signage and little space between for rubbish. On the front of each is a photo of the park, supplied by The Friends with the intention of showing potential miscreants that we have a beautiful park that is not enhanced by their rubbish. There is so much work scheduled for the park in the next 18 months that Park Management have produced a helpful schedule of projects and timing (see inside back cover of newsletter). There was a very good audience in the Orangery for the concert by the Russian Virtuosi of Europe: Natalia Lomeiko (violin), Yuri Zhislin (viola), and Adi Tal (cello). The concert started with the Aria (the basic theme ) from J.S. Bach’s Goldberg Variations, transcribed for string trio by Dimitri Sitkovetsky, a Russian violinist, conductor and arranger, who emigrated to the United States in 1977, but now lives in London. The piece was played as a tribute to the late Colette Price, former trustee of The Friends of Holland Park, who had introduced Natalia Lomeiko, and hence the Russian Virtuosi, to the Friends. The main work was Mozart’s Divertimento in E-flat major, K563, for string trio. It was composed in Vienna in 1788, the same year in which he completed his last three symphonies, and is dedicated to Michael Puchberg, a fellow mason, who lent Mozart money. It was first performed in Dresden in April 1789 by Anton Teyber (violin) and Antonin Kraft (cello), with Mozart himself playing the viola. It is in the classic divertimento format of six movements, including two minuets, one slow movement in sonata form and another in the form of a theme and variations. Throughout the work the substance and depth of the work show great maturity, with remarkable richness of colouring achieved with such modest instrumentation, and it has nothing in common with lighter ‘entertainment music’, the literal meaning of divertimento. As Alfred Einstein, a German-American musicologist, noted in Mozart: His Character, His Work, published in English in 1945, ‘It is a true chamber-music work, and grew to such large proportions only because [...] it was intended to offer something special in the way of art, invention and good spirits [...] Each instrument is primus inter pares, every note is significant, every note is a contribution to spiritual and sensuous fulfilment in sound’ and ‘It is one of his noblest works’. One cannot but agree with Einstein’s conclusion. The Virtuosi gave us a truly brilliant performance, which made it, to me, the best of all the concerts that they have given for us. It was a truly memorable evening, which will give me great pleasure in retrospect for a very long time. We sometimes forget what makes Holland House so special, but it is of course a fine example of Jacobean architecture, and we are fortunate to have it as the centrepiece of our park. Who better to set Holland House in context than Malcolm Airs, Emeritus Professor of Conservation and the Historic Environment at Oxford University. Professor Airs’ many distinguished roles include serving on advisory committees of English Heritage and the Heritage Lottery Fund, past president of the Institute of Historic Building Conservation, member of both the Council and the Architecture Panel of the National Trust. This talk could not be better timed as our local council considers what conservation work needs to be undertaken to ensure our grand old building is kept in a state that will delight future generations. Tickets are £18, to include wine and Janice Miles’ delicious canapés. To order tickets please download an order form here. We are delighted to welcome Silvi Spassov to the new role of Accounts Co-ordinator. That means he handles all the day-to-day accounts and payments, and he keeps the trustees informed on the state of our finances. Silvi is a qualified and experienced accountant, having worked for many years as a PricewaterhouseCoopers consultant with client-facing roles, which means he well understands how to build relationships with others in a team. We are already enjoying working with him and hope he will equally enjoy working with the Friends. In the short term, the Chairman will retain the financial oversight role of Treasurer, but this will be reviewed over the coming months. Simon Lindesay-Bethune continues as Assistant Treasurer. Come and explore the natural world we are lucky enough to have in Holland Park. Many of the talks, walks and events organised by the Ecology team are sponsored by the Friends so that they can be free for participants. Experts will help us discover things in the park that we may not notice for ourselves. 6 July: Ornithologist, Bill Haines, and ecologist Netty Ribeaux will entertain us with some fascinating facts from research on parakeets, before we go out into the park to see if we can spot parakeets congregating before they head off to roost. Bill is well known to many park visitors from his annual bird-ringing demonstration in the Wildlife Area. 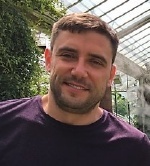 10 July: We are delighted that Allan Watson of the Bumblebee Conservation Trust is back again to tell us more about the threat facing bumblebees, and about their importance for our gardens, natural habitats and of course our park. Alan is passionate about these most loved and familiar of our garden insects and is always keen to share his knowledge with us. The Trust’s leaflet says ‘bumblebees have smelly feet’: I think we need to know more. 14 September: Join an expert from the London Bat Group and delve into the nocturnal world of bats. Learn about their natural history before searching for them with bat detectors in Holland Park. You need to bring a torch. All the above events are free, but you do need to book on ecology.centre@rbkc.gov.uk or 020 7938 8186. The Friends run a Nature Walk on the first Saturday of each month, for which you do not need to book. We meet outside the Holland Park Café at 9 a.m. and choose a route to see whatever is of interest at the time, whether birds, plants or trees. 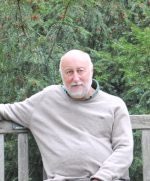 We are delighted that John Wells has agreed to lead the Nature Walk on Saturday, 1 July. John is an experienced nature-walk leader and has a remarkably varied knowledge about birds, beasties and green things that grow. 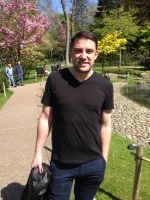 He also knows Holland Park and some of the natural history delights in it. On this occasion he will pay particular attention to our native trees, and help us be more aware of what we have. On the evening of 22 February, rounded off as usual by wine and Janice Miles’s delicious canapés, Managing Director of Topp & Co., Chris Topp, fascinated our audience in the Orangery with the story of his career as an expert in the design, construction and restoration of metalwork such as bronze, but particularly wrought iron, of which his specialist division, The Real Wrought Iron Company, is one of the few suppliers left in the world. He explained that wrought iron is not only so called because of the way it is worked but because of the kind of iron it is: an alloy of iron and slag inclusions which gives it a fibrous quality and grain, rather like wood. It is less corrodible than steel or cast iron. It is malleable, easily welded but tough: the door of the Great Pyramid was made of it, and it is still there. He showed us photos of stunningly beautiful creations and restorations on prestigious sites such as Lincoln Cathedral, the Palace of Westminster, Westminster Abbey and St Paul’s Cathedral. They even made a working replica of a cannon from the Mary Rose. In St Paul’s, Topp & Co. were commissioned to replace a 450-foot handrail of 1703, the one in the Whispering Gallery; as requested, they made it look as if it had been made in 1703 and yet last another 300 years. No problem. Their ability to work quickly is also impressive: they had just two months in which to make a new balustrade for the entire staircase in the Queen’s Gallery. 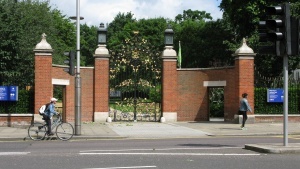 Chris ended with a photograph of the Earls Court gates in Holland Park, newly restored by his company. He was delighted by the attention of the audience, and the number of interesting questions asked. From one of these we heard that Topp & Co. had been storing for several years bits of the gates that had looked in danger of dropping off. The Borough had asked for them to be removed, pending restoration some time in the future. Thankfully it is now in the past. 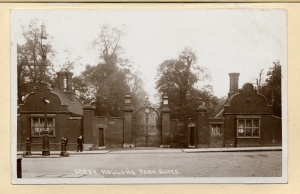 The gates ca 1900, complete with lodges (courtesy of RBK&C. with thanks to Friend John Rae for drawing our attention to this photo) and the gates in June 2017, photo by Joy Puritz. 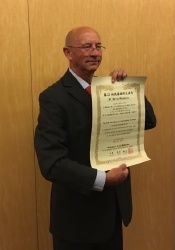 Barrie was invited to receive the award at a ceremony in Tokyo at the end of May 2017, where he was treated royally in celebration of his achievements. He will feature in Japanese media, including the Japanese publication ‘Parks and Open Space’. Barrie is obviously delighted, and we are proud on his behalf and very grateful for all he has done to ensure Holland Park’s Kyoto and Fukushima Gardens are authentic in concept. We must ensure they remain that way. 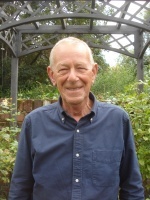 Andrew Whiteley was a long-term member of The Friends and someone who not only loved trees and shrubs, but was extremely knowledgeable about them. Being a classics scholar, he knew and was very fussy about the Latin (botanical) names. When he became ill some years ago, he told me he wanted to leave money ‘for nature’. He left his ‘nature’ money to a friend and asked me to work with that friend to choose projects of which Andrew would have approved. Sadly, Andrew died in 2014, but the money has funded wonderful projects in his memory: Japanese cherry and maple trees for the redesigned Azalea Garden at Kew, a habitat study at Barnes Wetlands, some funds for The Tree Register (a record of Britain’s notable trees) and rare Rhododendrons from Wakehurst’s plant nursery for Holland Park’s Fukushima Garden. So, what about the Mediterranean Bed in Holland Park. In recent years this 80m-long flower bed along the old brick wall on the north side of the Dutch Garden has outgrown its structure and has ‘forgotten what it is meant to be’. In spite of careful management of the bed by IdVerde, it needed a complete overhaul. A donation of just under £14,000 from Andrew’s money was made to the Friends for this purpose. The intention is to give a structure to the planting scheme that ensures the bed will look good for many years. That structure will be provided by sizeable ‘anchor plants’, interspersed with plants of varying size, shape and texture. Predominance of evergreen species means the bed will look good in winter as well as summer. Bulbs and perennials will add some colour, but not so much that it clashes with the main attraction, the formal beds in the centre of the Dutch Garden. In keeping with the Borough Parks strategy, the planting will be sustainable in the sense that it will not need regular replacement. The microclimate of the old brick wall allows inclusion of some unusual plants from areas of the world that enjoy a Mediterranean climate. We hope it will both look beautiful and please those who follow a botanical interest, but it will be a little while before the bed is fully established. That is the nature of good gardening. The first anchor plant in the bed is a rare Lyonothamnus floribundus (Catalina ironwood), which bears panicles of creamy-white flowers in early summer. Once the bed is planted up we will tell you about all the different plants so you can go and identify them for yourself. Our annual summer party is almost upon us, so hurry to book if you wish to attend. We again have to thank Michael Volpe, General Director of Opera Holland Park, for kindly allowing us to use the marquee on the raised terrace at the east end of the Dutch Garden. He will be one of our special guests. This year the party will coincide with an opera rehearsal, which will mean that access to the marquee will only be from the Dutch Garden. This is our one event of the year that is only open to Friends and their immediate guests, but not to the general public. Pimm’s, soft drinks and canapés will be served. The trustees will again be inviting other special guests in gratitude for helping the Friends in their efforts to make the park a place of enjoyment and relaxation for everyone. Tickets, at £17 each, can be booked on the order form which can be downloaded here. Colette was a trustee of the Friends for some years at the beginning of this century. She was introduced to us as a possible newsletter editor, a position she filled admirably because of her skill and feeling for words, although English was not her first language. She was born in Lyons and spent her early years there until it became apparent in the 1940s that Lyons was not a healthy place for anyone of Jewish origin. She fled into the mountains where she was taken in by a village of Huguenots who risked their lives for the rest of the war caring for her and others. Later she married an Irishman and settled in London but always maintained links with her French family who came over in force for her funeral. In London she maintained her literary and musical interests as she demonstrated by suggesting we hold an evening in the Orangery during the Art Exhibition where the translations of La Fontaine by your late chairman, Christopher Wood, would be read along with their original French versions and followed by music by the young musician she knew, Natalia Lomeiko. She kept in good physical condition, playing tennis at the Holland Park Lawn Tennis club until her last illness. She also volunteered to help your secretary pick up crab apples in the country. She liked to say, ‘Because I have lived well, I am not afraid to die’. Thank you, Colette for sharing that life with your family, friends and The Friends of Holland Park. On the evening of 4th December the Orangery was virtually full for what Philip Simms, the director of the Tallis Chamber Choir, said was their seventeenth consecutive year with us, and the quality of the music and the food and drink made it a wonderful start to the Christmas season. I have been to most of the seventeen concerts, and I listen to a lot of carols and other choral music, but Philip Simms’s knowledge and programming ability is such that there were only two of the thirteen pieces that I had heard before. The first piece on the programme was a setting of Shakespeare’s Blow, Blow thou Winter Wind by John Rutter (b.1945), composed in 1973 as part of a six-movement work called When Icicles Hang, reflecting Elizabethan melody. Next was Torches by John Joubert (b.1927), a British composer of South African descent; a short, vigorous carol composed in traditional style in 1951. This was followed by the arrangement by Sir David Willcocks (1919-2015) of The Cherry Tree Carol in traditional style. Next was a delightful and spirited carol, The Little Road to Bethlehem, by Michael Head (1900-76). We then had BC:AD – This Was the Moment by David Bednall (b.1979), a carol composed in 2013, setting to music the poem, BC:AD, by Ursula Fanthorpe, the full text of which was read immediately beforehand; the music was a mixture of 20th and 21st-century styles, at times almost atonal. The next piece, Softly, by Will Todd (b.1970), a tranquil carol that echoes the peace of Christmas, had an indirect connection with Holland Park as his opera, Alice’s Adventures in Wonderland, was commissioned by Opera Holland Park in 2013. We ended the first half with Haec dies by William Byrd (1539/40-1623), a 6-part motet, part of Byrd’s Cantiones Sacrae II of 1591, with a wide variety of dynamics and a gentle, bouncing rhythm.